Even if you’re not directly affected it’s worth paying attention, because it’s an $8 billion issue that affects us all. The policy the opposition Labor Party is taking to the election proposes abolishing cash refunds of franking credits on share dividends ‘to make the tax system fairer’. It argues that closing this ‘tax loophole’ will soon save the budget $8 billion a year, which is more than we spend on public schools, childcare or the Australian Federal Police. Pensioners and allowance recipients will be exempt, as will charities and not-for-profits including universities. Self managed superannuation funds (SMSFs) with at least one pensioner or allowance recipient before 28 March 2018 are also exempt. If Labor wins the election the policy will take effect from 1 July 2019.
Dividend imputation was introduced by the Hawke/Keating Government in July 1987 to end the double taxation of company profits. Before then, companies paid tax on their earnings and shareholders were taxed on the dividends paid out of profits at their marginal rate. Under dividend imputation, companies pass on a tax credit to shareholders for tax already paid at the company level. Shareholders can then use these imputation credits or franking credits to offset tax liabilities on other income, including salary. The system was made more generous in July 2000 when the Howard/Costello Government allowed excess franking credits to be paid as a cash refund. This meant that people who pay no tax can claim a full refund from the ATO. The Labor Party proposal effectively restores the original tax treatment of dividends prior to July 2000. Say an Australian company makes pre-tax earnings of $1 a share. It pays tax at the company rate of 30 per cent, or 30c a share, and returns the remaining 70c to shareholders as a fully franked dividend. When shareholders complete their tax return, they add the 70c dividend to the 30c franking credit and declare $1 of taxable income. They then pay tax on the $1 of taxable income at their marginal rate. If you are on the top marginal rate of 47 per cent (including Medicare levy), then tax is 45c but after the 30c tax credit you pay tax of just 17c. If your marginal tax rate is zero, as is the case for all but the wealthiest retirees, you receive a 30c cash refund from the Australian Taxation Office even though you pay no tax. Under Labor’s proposal, there will be no refund for shareholders who can’t use the full 30c credit unless you are a pensioner or allowance recipient. 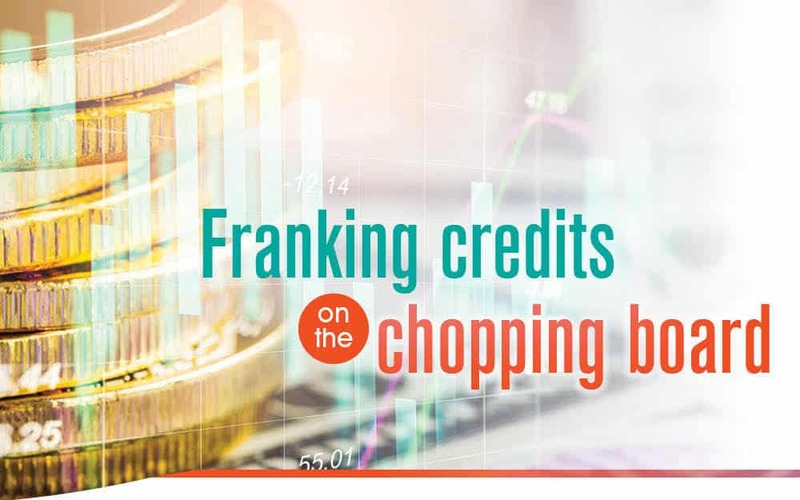 Labor argues that 80 per cent of the benefits of the current system of franking credit cash refunds go to the wealthiest 20 per cent of retirees, and that 92 per cent of taxpayers won’t be affected by the change. However, critics say the proposed changes unfairly target retirees with their own self-managed super funds. Labor does single out SMSFs on its campaign website arguing that the top one per cent of SMSFs received an average cash refund of more than $80,000 in 2014/15. Self-funded retirees argue that the policy is unfair for people who saved and planned their retirement income around one set of rules, only to have the rules changed when it’s too late to rearrange their affairs. But whoever wins the election, share dividends will remain an important source of income for retirees. The dividend yield on Australian shares is currently around 4.4 per cent (5.7 per cent with franking credits), compared with interest of around 2 per cent on term deposits. Shares also have the potential for capital growth over the long run, while term deposits do not. If you would like to discuss your retirement income strategy, give us a call.